For those of you not from the Baltimore region, Berger Cookies are as recognizable in this city as are steamed crabs and crab cakes. 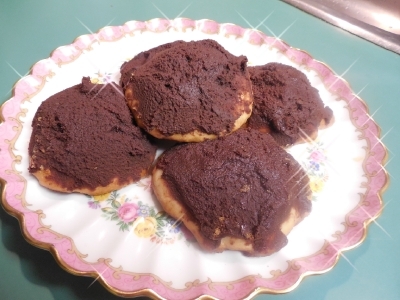 A chewy vanilla based cookie with a mound of chocolate, similar to Mt. Kilimanjaro, perched on top reaching for the sky. For those of you from Baltimore who just went through the Berger Cookie draught due to failing health of the baker’s family member and them not having the proper licensing, not to worry they should be back on the shelves next week if not sooner. Nice, the second Baltimore blog I've come across today -- maybe it's time I realize the city is more than how The Wire presents it.